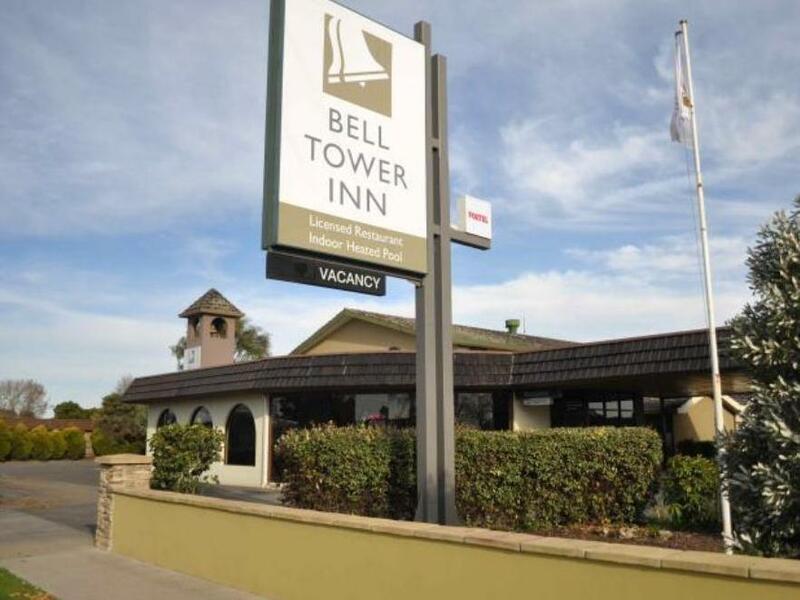 يقع فندق Bell Tower Inn في منطقة تتمتع بمعالم كثيرة، وتعتبر المكان الأنسب لاكتشاف هذه المدينة رائعة الجمال و ما يحيطها. يمكن من هنا للضيوف الاستمتاع بسهولة الوصول إلى كل ما تقدمه هذه المدينة النابضة بالحياة. سوف يعشق النزلاء موقع هذا الفندق، فهو قريب من أهم المعالم السياحية في المدينة . يعمل Bell Tower Inn على ضمان إقامة مريحة لضيوفه من خلال خدماته الممتازة وحسن ضيافته. يقدم هذا الفندق العديد من الخدمات الكفيلة بإرضاء أكثر الضيوف تطلباً. يمكن للنزلاء الاختيار من ضمن مجموعة من الغرف المصممة بعناية لتعكس جواً من الراحة، والتي يتجاوز عددها 67. يقدم الفندق مجموعة واسعة من وسائل الراحة المتنوعة، كمثل: حمام سباحة داخلي, حديقة, غرفة بخار. إن Bell Tower Inn هو خيارك لخدمة الفنادق الراقية في المدينة. We were very happy with the facilities. It was very quiet and comfortable. Our room had an updated bathroom that was very nice. Staff were friendly and the buffet breakfast was great. 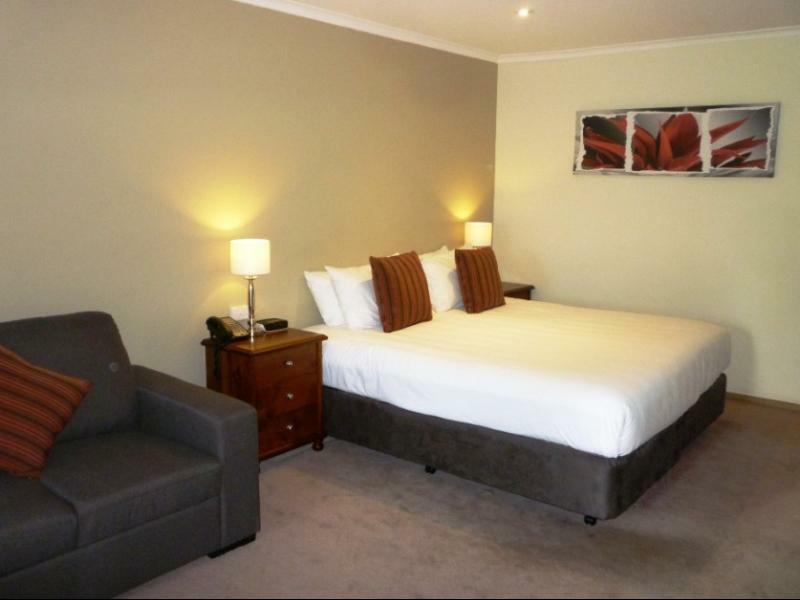 The inn is around 6 kms away from Ballarat cbd and situated in a quiet area. Our room was immaculate, pool was great and the staff very accommodating. We arrived 10 mins after they have closed the reception but the staff on duty (shame her name escapes me now) still attended to our check in needs. I recommend this place to families with young kids on a budget. It was great. Staff were very accomodating. We love this place. Comfy and quaint place with friendly staff. In general, it was nice. Room is tidy and spacious. Staffs are nice and helpful. But, toilet is old style and as if we went back to 1990s. Overall, the feeling is good there! 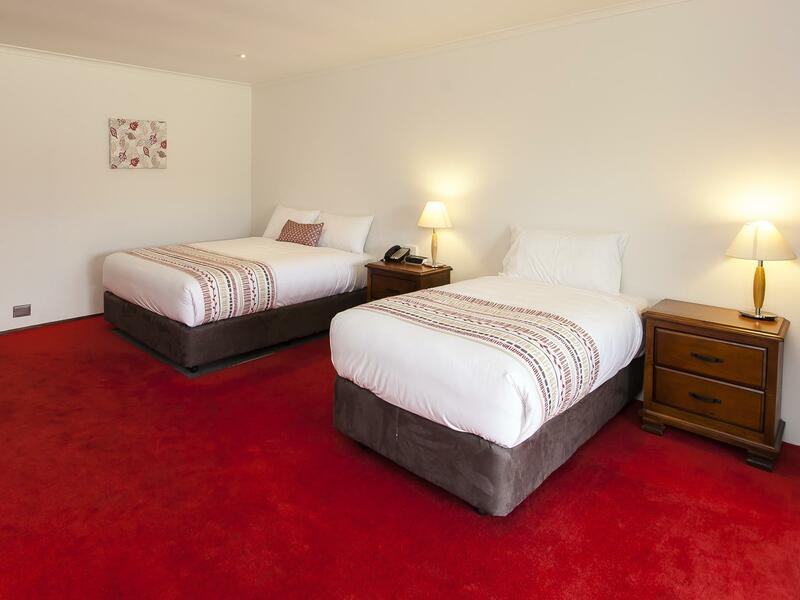 A totally relaxed and easy stay. 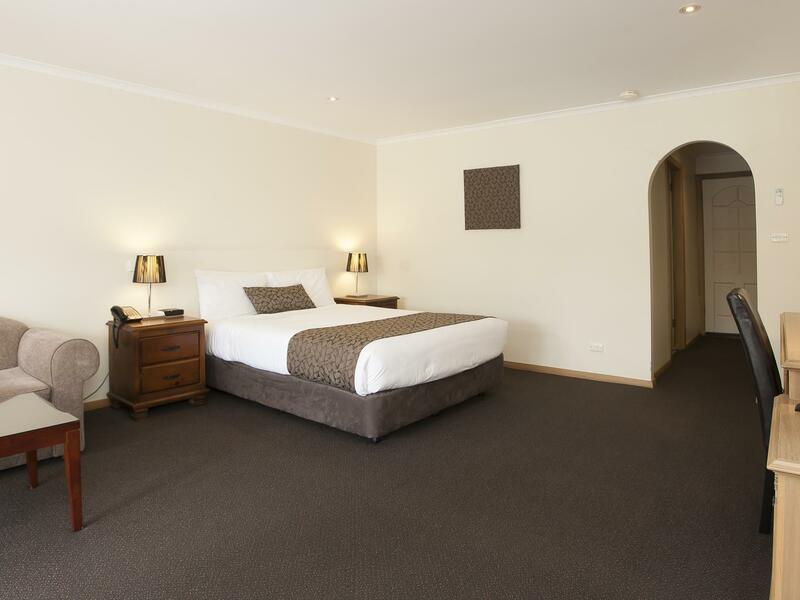 Very spacious room, comfortable bed and quiet environment ensured a great nights sleep. We only stayed for a short period of time, however, the room presentation exceeded expectations. I had other people staying as well and their rooms were beautiful as well. All amenities were available in the room and there was plenty of space for the family. It was a short stay, but I have no complaints. Staff were friendly, location quiet, room clean. 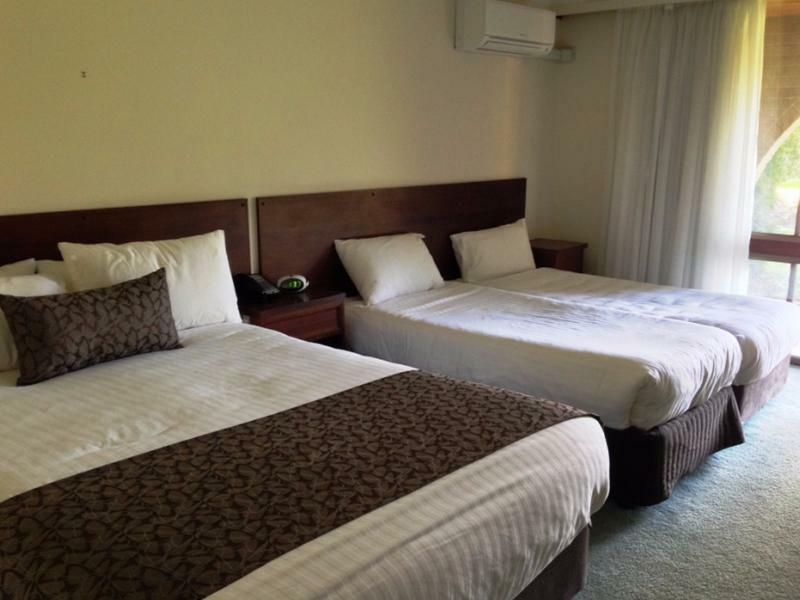 Our room was surprisingly comfortable and spacious and we were impressed by the cleanliness. Suited us perfect for our weekend to attend sports activities around Ballarat lake. We had a great weekend in Balllarat, our room was nice and clean, we had fun in the pool and sauna and we enjoyed breakfast Saturday morning although our continental breakfast was a little pricey.The single bed in our room was a tad hard but overall we were happy. Checkin acceptable. Advertised as free wifi but 100mb limit only the rest charged. Staff service acceptable but lots of room for improvement. Restaurant offers same special for several days, may as well stick it on the menu. Rooms dirty, basins not cleaned, bath towels not replaced during 5 day stay and dead blow flies left around doors and on carpet. 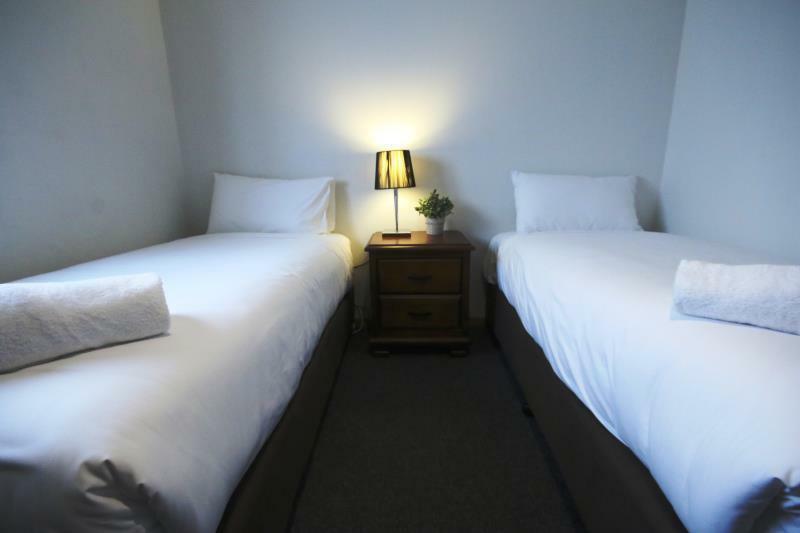 Great for an overnight stay. Room are spacious but very old and dark. We went there during summer the air conditioner very loud. Curtain was ripped can't close the window properly. Apart from that it was a pleasant stay.